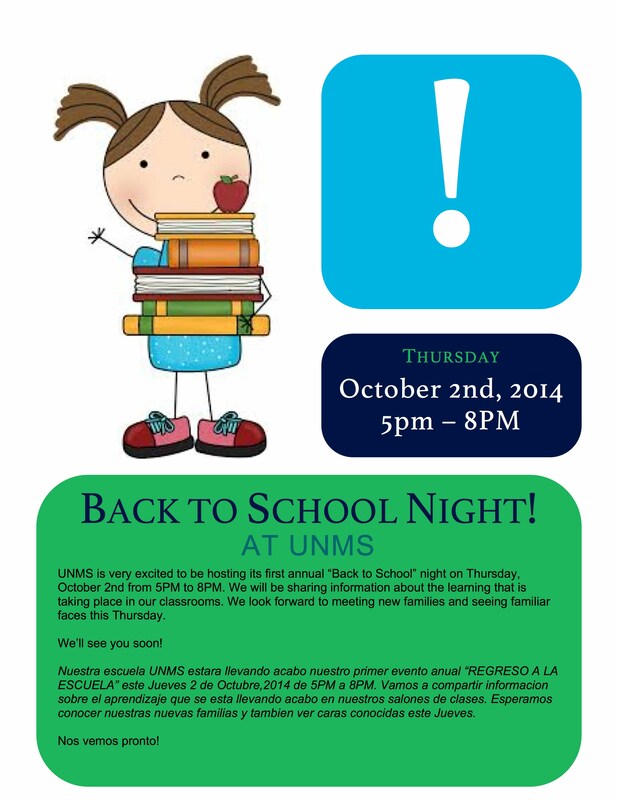 UNMS is very excited to be hosting its first annual “Back to School” night on Thursday, October 2nd from 5PM to 8PM. We will be sharing information about the learning that is taking place in our classrooms. We look forward to meeting new families and seeing familiar faces this Thursday.